Jess Learmonth’s first race this season resulted in an outright win for her at the 2016 Quarteira ETU Triathlon European Cup on Saturday in Portugal. Putting in nearly a full minute on Britain’s Lucy Hall, Jess put in the 2nd fastest swim, THE fastest bike and the 8th fastest run of the race and was deservedly crowned champion. Jackpot team mate Hannah Drewett also had a storming race finishing 12th overall and counting as 4th Brit home – didn’t the girls do well!! Katie Synge was robbed of her race and had been going well until a puncture on the bike section on the 4th of 6 laps. 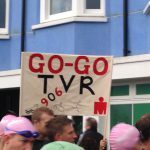 Absolutely fantastic racing ladies – enjoy the sunshine over there – pop the bubbly! In the men’s race Christopher Perham bolted around the course finishing 20th and just 2.5 minutes behind the leader in a time of 1:52:14 over the standard distance course. Tremendous! 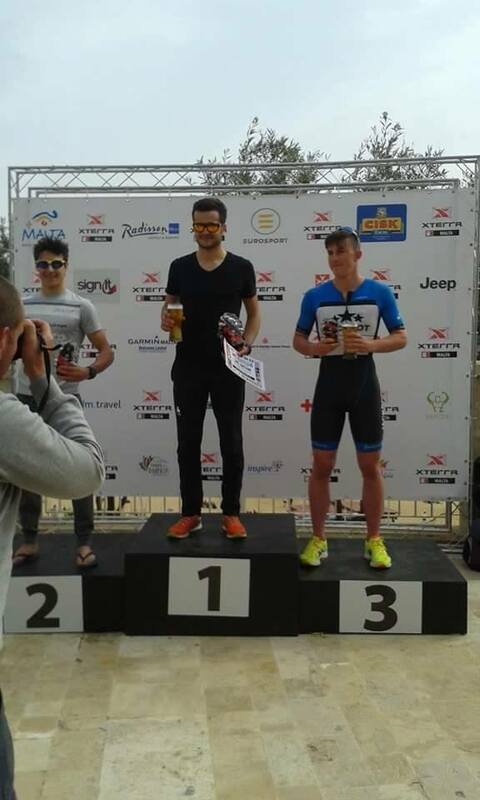 Still in sunny climes, Tom Linton-Neal with broken toe headed to the Xterra race in Malta and STILL podiumed with the toe! 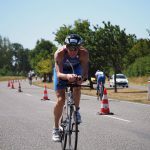 Tom had a super swim and bike – the run not as quick as it usually is but Tom still won bronze in his age group (20-24). 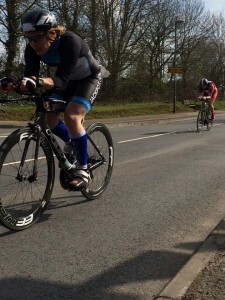 Tom – racing on a broken toe! Let’s head back to Blighty and the Windsor Duathlon where David Bishop raced in the elite race and Ian Gilham in the age group. 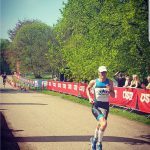 David finished 15th overall just over a minute behind the race leader Richard Horton over the sprint distance course in an unthinkable time of 55:57 – a cracking time and exciting race! Despite that I had a good race. Run 1 was partly off road with the bike on a very technical narrow park path which got very crowded following a mass start with everyone on a 4 lap 10k circuit at the same time – quite a few crashes but managed to avoid the worst, stayed upright and even did all the laps this time!. By the time we got to T2 the grass transition area was a sea of mud looking like the end of Glastonbury with folks sliding everywhere. 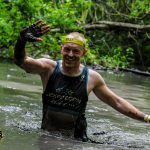 One guy completely lost a run shoe in the deepening mud – oh how we laughed as we ran past! 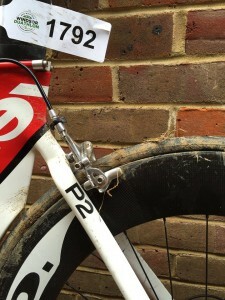 Ian’s bike – how wrong is it to see this on a P2? Finally we have Craig Boggon out again now that he has acclimatised back to the UK climate after his year in Australasia 🙂 Craig finished 3rd overall at the Newent Duathlon (5k-18k-5k) just over a minute behind the race leader and 1st in age group. Craig had the second fastest second run of the day.